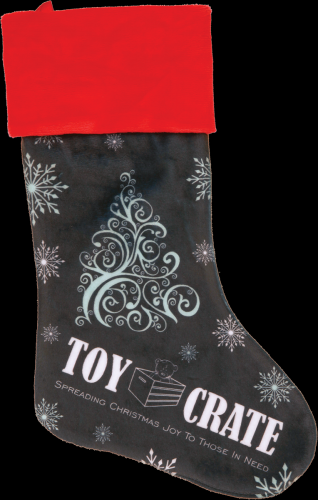 This charming Christmas stocking is soft and luxurious, but still durable enough for years of use. 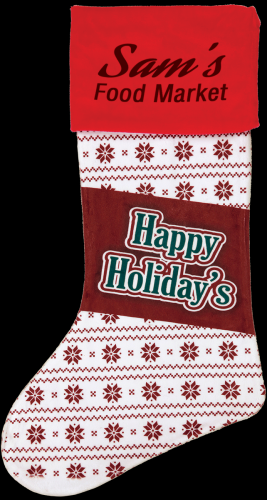 Personalize it in full color with a photograph, holiday design or message, or even your organization’s logo for a treasured gift, incentive, or promotional item. 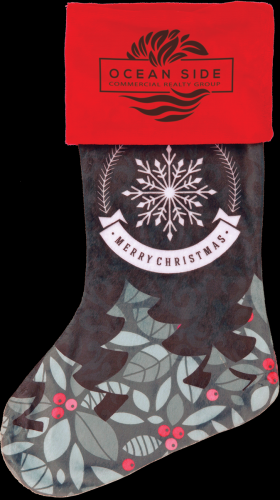 Pick your stocking from one of three sizes.